It’s 11:58pm on Thursday which means we’re not too late in wishing you a Happy Thanksgiving! 🙂 We just rolled in from a fun day with dear friends and our hearts are full as we stop and reflect on things for which we are thankful. I feel like this blog is one big Thanksgiving post as we’ve learned in this journey to never take for granted the things that mean the most to us but there is definitely something special about today and we trust you shared in a wonderful celebration of your own. 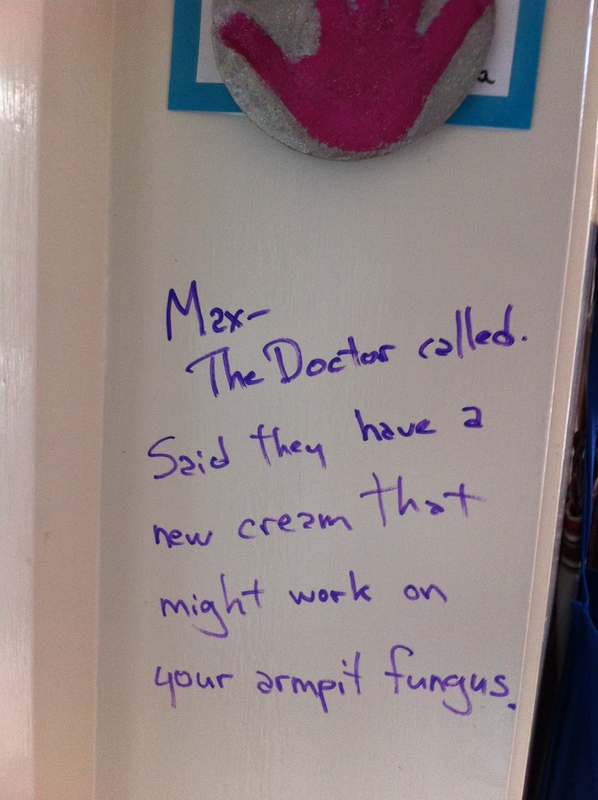 Rudy saw Dr. Harake on Monday for his regular appointment. Nothing has changed…Rudy’s heart function remains the same and his aorta is still narrow even after his angioplasty in September so the next step will be a stent. The plan for now is to schedule his next heart cath in March to coil a grip of collaterals but Dr. Harake is going to talk with Dr. Dan about the possibility of bumping it up earlier to get that stent put in. So, we’ll continue to stand by. We’re definitely committed to the kitchen remodel now!! Ha Ha Happy Thanksgiving everyone and Happy Holidays OFFICIALLY!!! Absolutely precious! What wonderful memories your family just left there. 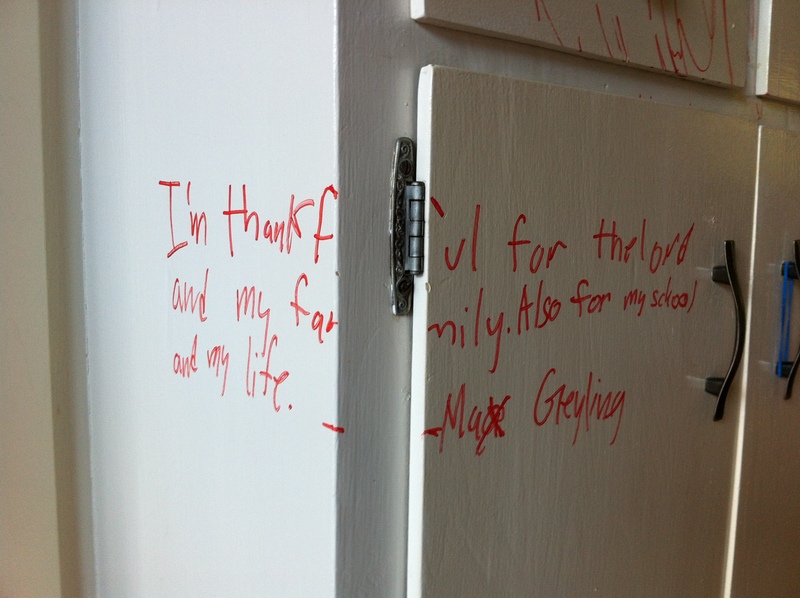 When we remodelled, we wrote Bible verses on the wood before they put the wallboard up, so they will always be there. Have a great time with the remodel! ha ha. Never a good time for a remodel–go for it! But you might want to save some of that priceless “artwork” for the future. Happy Thanksgiving season to you and your family! Remodels can be so much fun, because you have a good excuse to eat out and not do dishes. Happy Thanksgiving to the Geylings! I love the blog and hearing all the family adventures. I was thinking exactly what Cici said about Rudy AFTER the remodel. But if it happens, I know you will just be thankful he continues to grow and take on great new art projects;-) What an adventuresome family! Enjoy and be blessed through ALL the holidays and beyond. I think it looks good the way it is! Especially now . . . Enjoy those frozen pizzas and p/j sandwitches. You’re killin’ me! 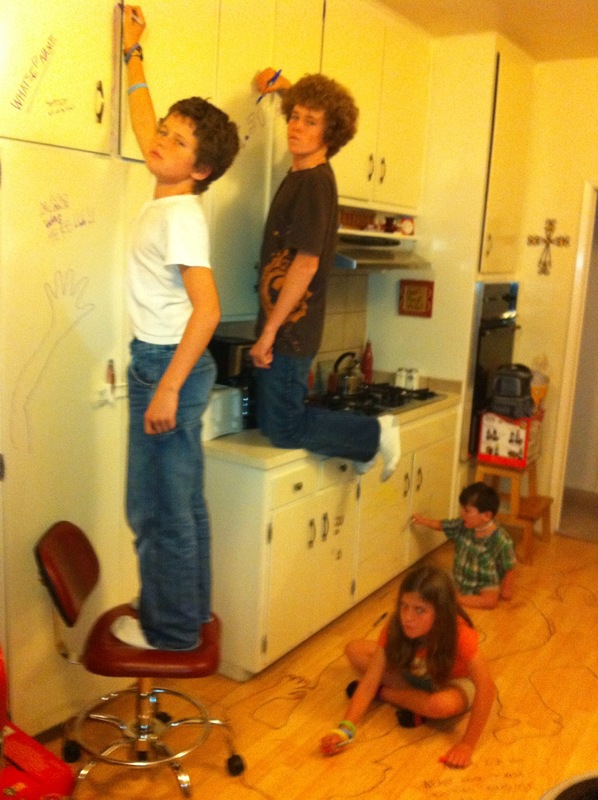 Whenever my folks re-papered the kitchen, we all wrote on the walls, too! And when they’d strip it off, we would find things we had written years before! What a treasure to see you all indulging in this wonderful process. 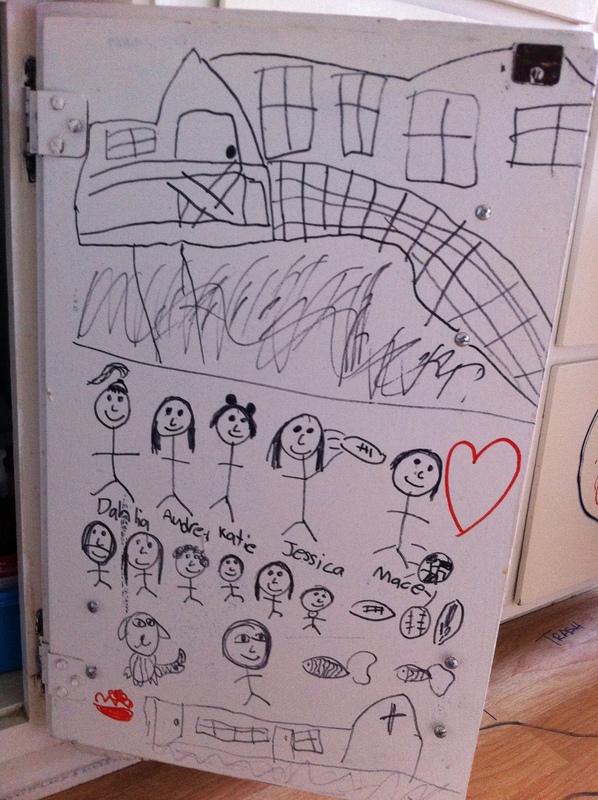 I LOVE Livvy’s family portrait! Love you guys, we are thankful for all of you. Hey!!! Can I come up with my sharpie!!!! Man…. 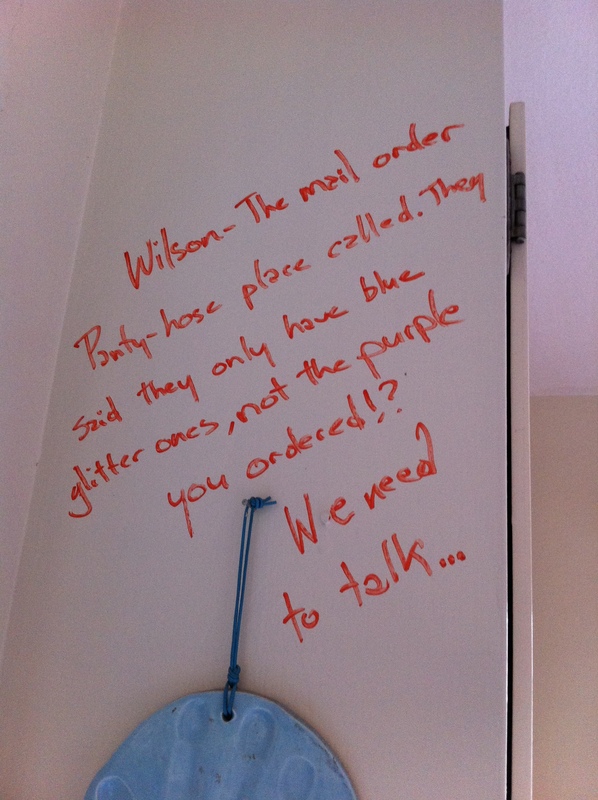 I missed out on the writing on the wall! Actually…. if I remember correctly…. 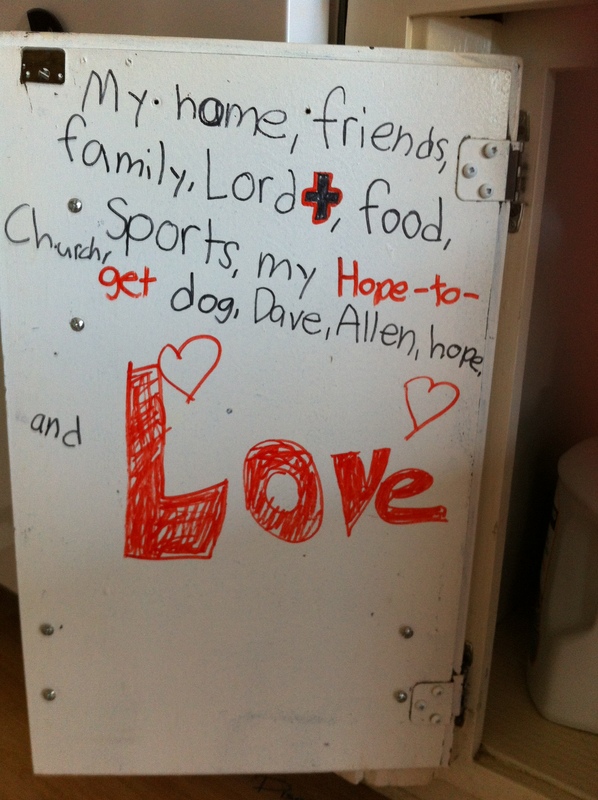 I believe I wrote on the wall in my childhood home …. it’s under the current wall paper!!! 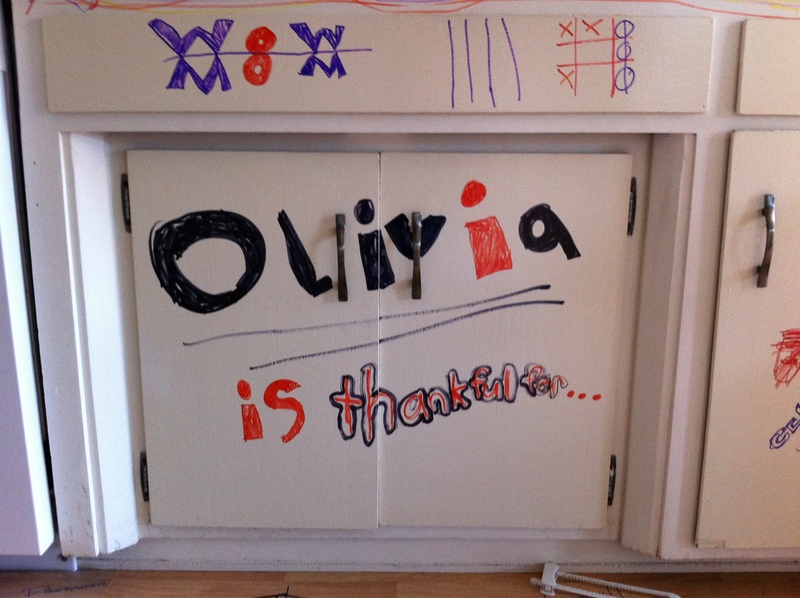 Had a great Thanksgiving with family and friends… glad you did, too! Okay, these are the “before” pictures. I look forward to the “after” pictures. I know it will be beautiful. Thanks, Rolf, for your expertise and willingness to take on this project. I am so proud of you! but if – for some strange reason – you decide not to do the remodel you can advertise it as an ‘art happening’ and charge admission…. 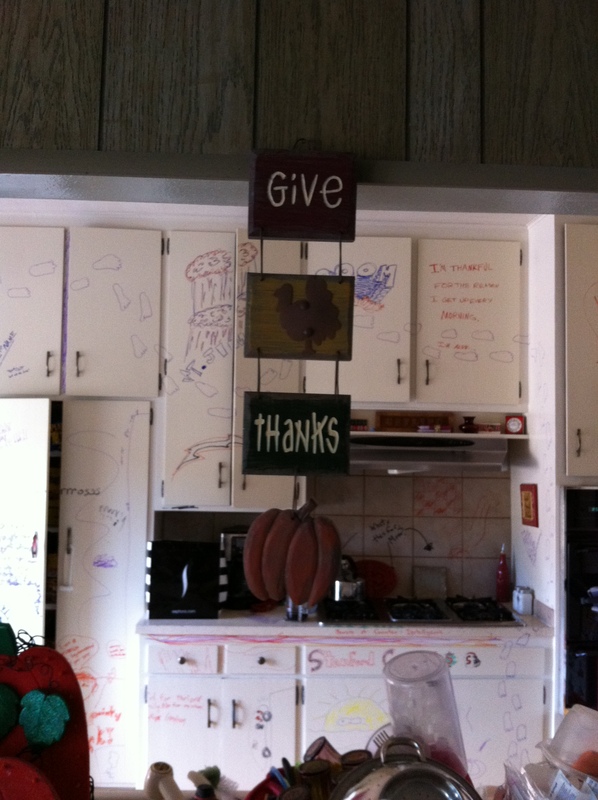 I so want to write all over the kitchen! That is awesome! You guys are so fun. And nutty! No kitchen, for how long! ?